We offer a unique experience – one of the most exciting & fun indoor activities combined with constructive team workshops. 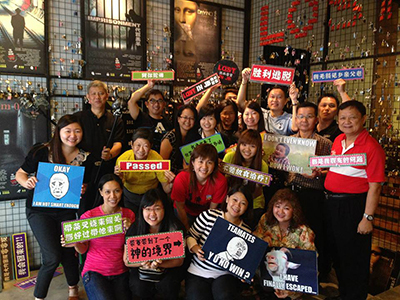 It is impossible to escape the room with just the strength of one person alone. Escaping the room demonstrates the importance of teamwork, communication, and many more!